we are manufacturers & suppliers of CMS -Constant Mainline Stabilizers from India.Our Constant Mainline stabilizersprovides constant output voltage to your home appliances. 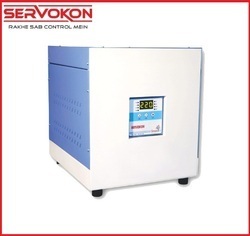 We are manufacturers & suppliers of high-quality CMS- Constant Mainline Stabilizers.First time in India, Servokon introduces a revolutionary "Next Generation of Mainline Voltage Stabilizer". It provides constant output voltage to your home appliances along with many special features. Looking for “CMS - Constant Mainline Stabilizers”?